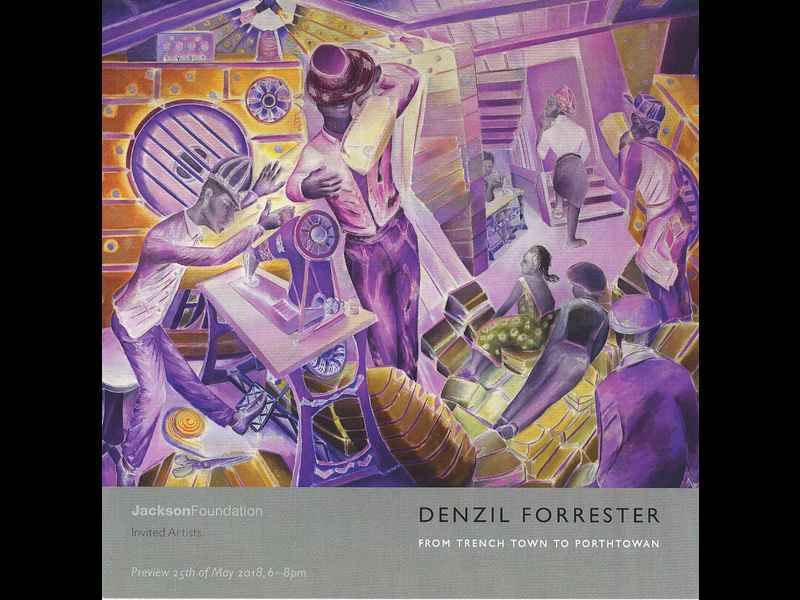 Sizeable square preview card for an exhibition by Denzil Forrester held at Jackson Foundation, a private gallery initiative developed by artist Kurt Jackson, located in St Just, Cornwall. This was a retrospective exhibition by Forrester, From Trench Town to Porthtowan, which took place May 26 - June 23 2018. The image on the front of the card [a detail of Stitch Up, 2017, oil on canvas, 200 x 244 cm] was uncredited. The Preview took place “25th of May 2018, 6-8pm”.